#hasleteled | Tag... you're it! August 2012 I created my Twitter “handle” at a leadership academy for our district. I didn’t look at it for months other than to check up on my sports news (I am a closet sports fanatic… no one would know it with my blingy jewelry and fake nails and pedicure :)). Beyond that I really didn’t see a purpose until January of this year. I am not sure what it was, but I was sitting in a Starbucks waiting for my own child to get out of practice and I started lurking on Twitter. Somehow I came across some pretty amazing Twtter-ers like Brad Currie @bcurrie5 and Tom Murray @thomascmurray. Next thing I know I am actively participating in 5 to 7 PLNs a week and am part of a book club for the book “Teach LIke a Pirate” by Dave Burgess @burgessdave moderated by Chris Kessler @iamkesler. I may need an intervention, but Twitter changed my professional life. I love teaching. Twitter was the fuel that reignited my passion…not that I wasn’t intense, but reminded me how to love everything I do despite the things I dislike. 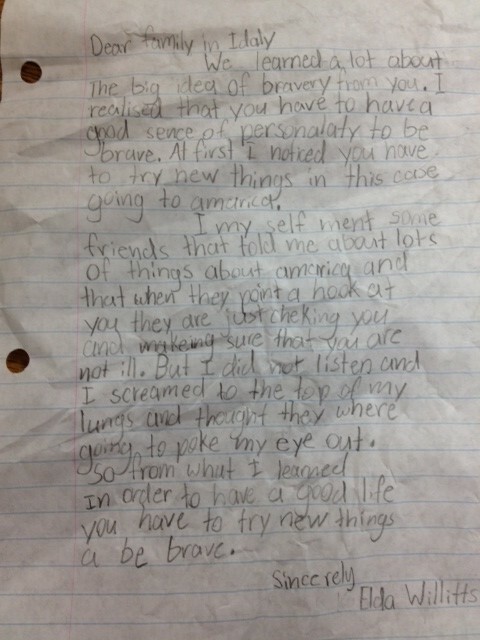 Like any great thing I find… I had to share it. 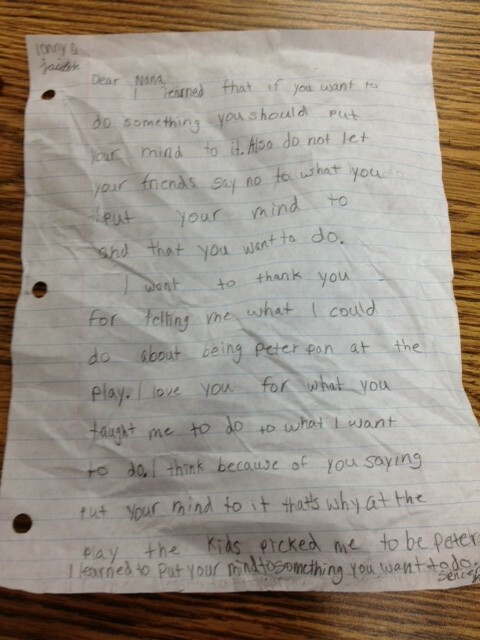 So I did with my Principal, and anyone else who would listen. I hooked my principal. She was so excited that within weeks she asked me to facilitate a “How to” on Twitter. I think this is humorous, as I would NOT call anyone who actively started Tweeting in January an expert, but I am beginning to learn that an expert is just someone who is accessing the information at a faster rate than anyone else in that current environment. Thus, I am now dubbed the “Twitter Queen” (I have the crown to prove it:)). Above is a VERY basic quick powerpoint I threw together in about 15 minutes to help my fellow colleagues on my campus get started. It has some suggestions who to follow and PLNs to either lurk/creep or participate. Challenge: If you Tweet and love it, spread the message (you are free to use the powerpoint if you like). If you don’t Tweet and consider yourself a learner, follow my powerpoint and get connected… you won’t regret it. I am still learning. I truly am not all-knowing when it comes to Twitter, but I am glad I didn’t delay any longer. Speaking “Twitter-ese” has transformed my world, raised the depth of collaboration with my campus colleagues, connected me professionally with amazing educators all over the world and made my students environment richer and more exciting. What are you waiting for? If you followed my last post you know that my students have been studying theme through a variety of genres. The most explicit example of theme occurs in our traditional literature examples and especially in the area of fables as one specific example of traditional literature genre. After utilizing Scholastic’s January 2013 publication of “Storyworks” biography “Bethany Hamilton is not Afraid of Sharks” and then discussing the similar themes between it and the intentionally paired fable “The Donkey and the Farmer” we identified the big idea… Challenges. Then after talking about the about Ben Affleck’s quote from his Oscar acceptance speech “When life knocks you down, which it will, get back up.” We determined as a class that would be a good theme to create our own fables. 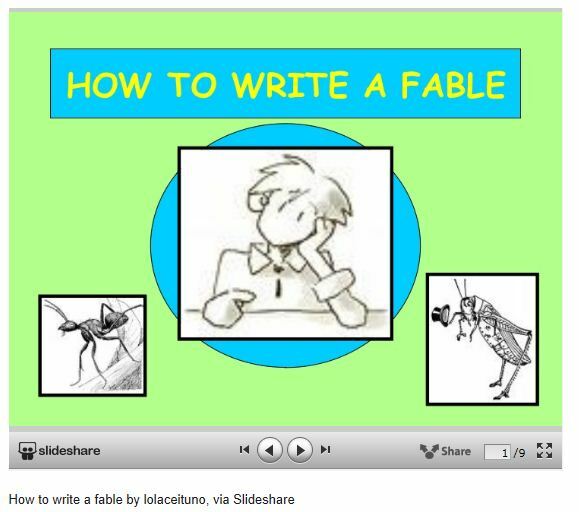 Through class discussion and the guidance of a slide show I found on Pinterest on how to write a fable we broke down the different elements that comprise a fable. After conferencing with each student over the course of two days as they completed their plans or mid-plan as needed, students drafted and met with response partners to get feedback and make revisions. 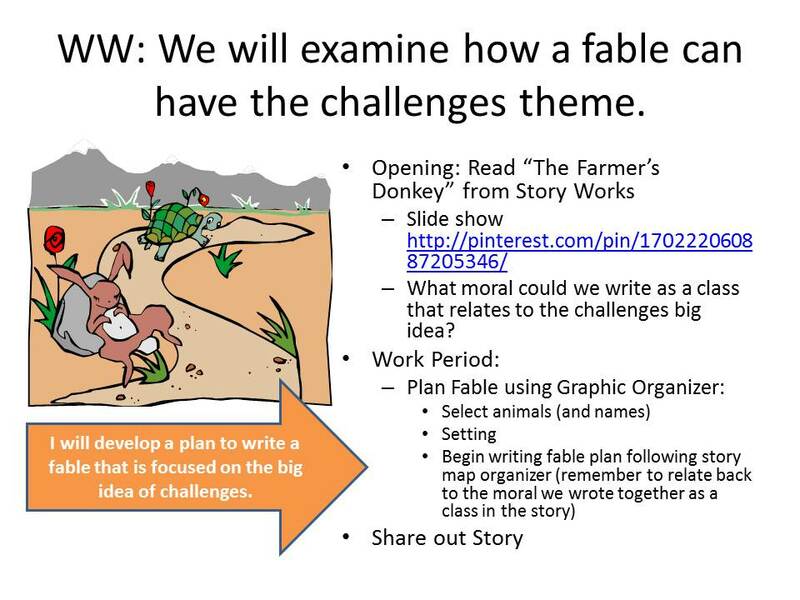 Students created their fables placing the elements of their fable in the appropriate places on the story arc provided with the app as well as selecting music appropriate to the mood of the story (available through the app). I am also including a rubric that was used for this activity. 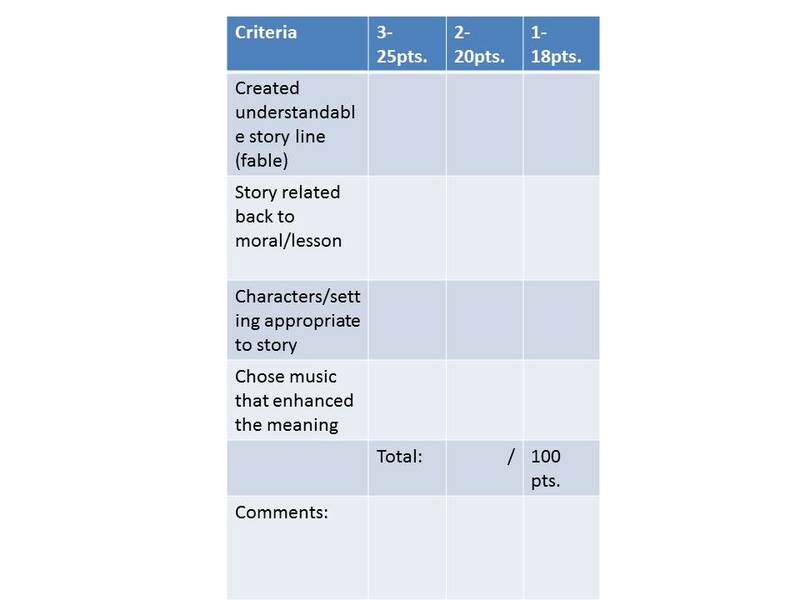 This was our first experience using Toontastic and writing fables so the rubric is somewhat forgiving and may need “tweaking” for repeated lessons with this experience or grades beyond third grade. Students seemed to have the most challenges with integrating the moral/theme with the story. Their fables were well crafted but often the lesson they intended to teach was missing in the fable they crafted. Something that is not altogether surprising considering their age and ability to connect abstract ideas through a concrete representation. It was a great experience for everyone. Students were so excited with their creation that when it was part of our Open House it was all the students and parents could talk about, I even had visitors from other classrooms to check out the excitement. It also created an atmosphere for sharing and learning about how technology is enhancing the learning of students in my classroom with my parents that was unprecedented. For the first time in my educational career parents were grabbing scrap paper from their wallets and purses. or taking notes on their own smart phone devices to record all the ways they could continue to support the technology that was impacting their own child’s learning in the classroom at home. Connected learning was on fire. The kids were experts, the parents were invested and hooked by the relevance, and this teacher was overjoyed to be along for the ride. I want to share a very engaging lesson our 3rd grade team did on theme. The idea came to me through my teaching team partner Kristin Carlile @kjcarlile. She does an excellent job crafting reading lessons for our team and this one was not one that we needed to keep to ourselves. She is an incredibly resourceful teacher and used an idea similar to the lesson I am blogging about from Scholastic @scholasticteach. We had already been doing read alouds with the kids and identifying the genre, summary, big idea of the book and the theme. After about 5 days of this being modeled with read alouds and various independent acitvities i.e. readers response journals, tickets out, and small group instruction through readers workshop we presented a new and creative acitivity. Kids were partnered up and given the following task and rubric. 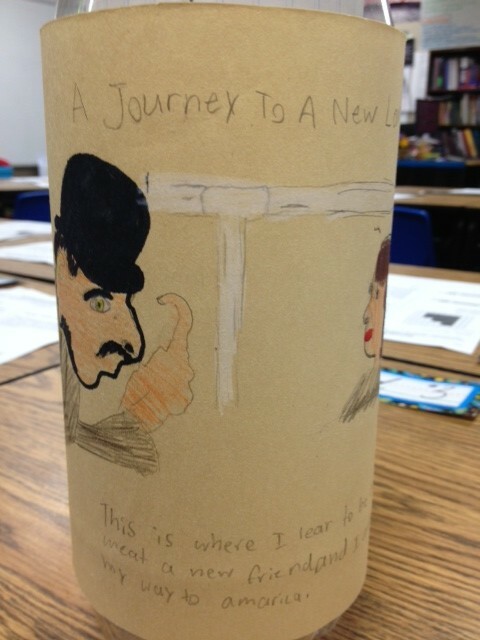 At the beginning of the post are some student products after working on it during Readers Workshop for a day. Would like to have given more time to this activity. Definitely will revisit as the learning was profound and the engagement unprecedented. To finish this post I will leave you with a short list of books that are great for this activity. 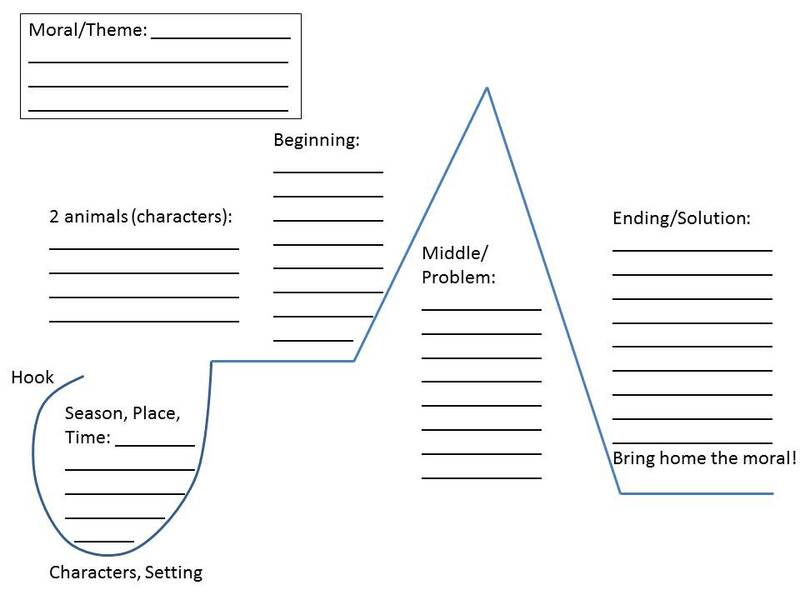 There are many more and I encourage you to find titles across the genres so that students can see how theme occurs in many genres. 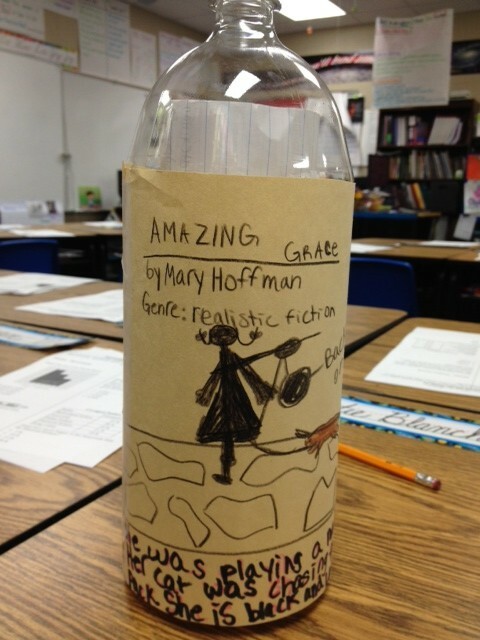 Good luck with your Message in a Bottle activities… may your students discover a lesson of a lifetime!